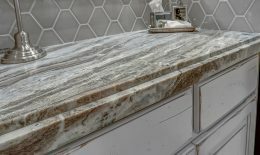 Quartz - Granite Source Inc. 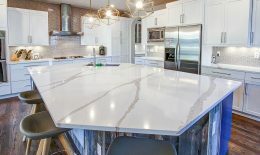 While quartz countertops are relatively new, their popularity continues to increase because of their many good qualities such as attractive appearance, consistent color, and durability. 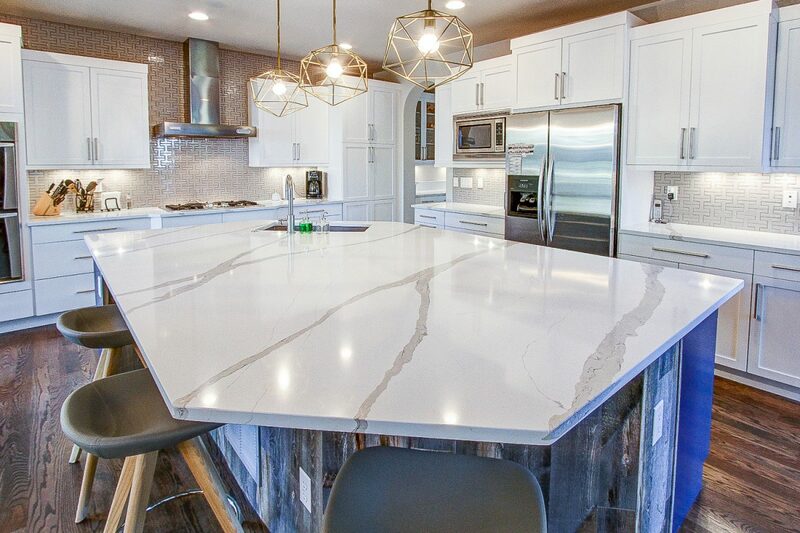 With low maintenance and endless color choices, engineered quartz countertops offer a tempting alternative to natural stone. 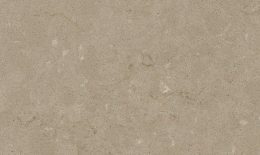 While upfront costs may seem higher for quartz, the lack of maintenance costs over time make up for that. 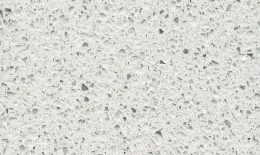 Quartz countertops are made of 93% quartz and 7% resins, polymers and various pigments. This is what makes them scratch, ding and crack resistant. While the resin binder is almost bulletproof, quartz does not handle heat as well as granite does, so care should be taken with hot pots and pans or even hot hair tools. 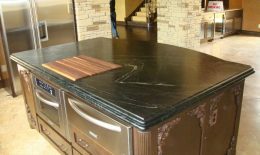 Manufacturers these days are able to produce quartz countertops in everything from solid colors to imitation granite that almost no one would suspect isn’t the real thing, which can fit practically any style. 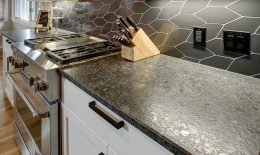 Quartz is non porous and requires no maintenance. It stands up to staining and will not harbor bacteria or viruses. 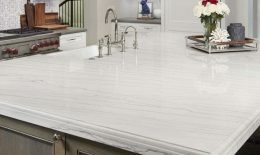 You can always be confident you’re getting your quartz countertop absolutely clean. Warm soapy water is all that is needed for day to day cleaning.  Quartz that is a sophisticated neutral with barely there flecks of copper and black. 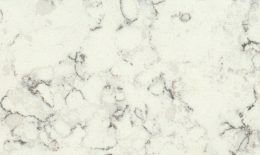 Quartz with gray veining and wisps of white over a speckled taupe base. Quartz with a stunning blend of bright white with icy sparkles and shiny specks. 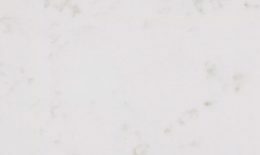 Quartz with a white base with gently blurred veining in a rich palette of beige and gray. 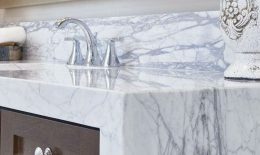 Quartz that perfectly replicates marble with subtle, random veining on a luminous white background.